I am trying to be very disciplined with myself today and not play with the new stamp set that came in the mail from Altenew this morning. If you haven't checked out their release from this week, be sure to stop over and check it out. Garden Treasure Stamp, Die and Bundle is already sold out at Altenew and Simon Says Stamp is waiting for their shipment to arrive and has it on reserve. It's always a good idea to sign up for e-mail notification so you'll know when either place has it back in stock if you want it. This was fastest shipping from New York - EVER! It normally takes at least 10 days for me to get an order during release week so I was shocked when I got an e-mail saying it was out for delivery. I'm still waiting on this month's Papertrey Ink order and that was from March 15th. Anyway, let's get on with the Fancy Easter Egg card! Today's card is for the Simon Says Stamp Flickr Challenge #67, the Simon Says Stamp Wednesday Challenge and also for the Inspired By All The Little Things Challenge #49. Nancy Penir is the Guest this week at Inspired By and the bunny immediately made me think "Peter Rabbit" which then makes me think of Easter and Easter Eggs. For my sentiment, I used leftover pieces of the ink blended cardstock to cut my word, the "Easter" Die from Simon Says Stamp. The word cuts in two pieces rather than just one so it was easy to do part of the word on one color and and the rest of the word on another. Because these are the heat embossed leftovers, there is a ton of extra texture there. This die is frequently sold out this time of year so consider getting the e-mail notification for this as well. I often do battle with myself over how much dimension to add because I mail nearly everything I make but this is one time I wished I would have listened to that little inner voice. The thing is, because I make cards for other people to send, I know that most people don't have the knowledge of the postal system that I do, so I want to keep my cards simple and mail-able. I was the Company Training Coordinator at the company I worked for in Topeka, Kansas and we used to have to do training on everything associated with mailing/shipping via the USPS. This might be a good time to do a little checklist here for my friends. A typewritten address label will always be easier for a machine to read, no matter how fantastic your handwriting is. If it's someone you mail things to often, consider making a sheet of address labels for them. If you have the ZIP + 4 Zip-Code, use it. It will speed up shipping by at least 1 day. Always use a return address so that whatever you are sending can make it somewhere, even if it's only back to you. No point in having it completely lost. You can use Click-N-Ship for Priority Mail Shipping from your home if you sign up for a USPS account. This provides you with a small discount since you will be using a "typewritten" and bar coded label printed from your printer that is easy to read. The post office can collect your packages from your porch or mailbox or anywhere that you specify on the next regular mail day. I have a small food scale that I use to weigh my mail. That way I know whether or not to add extra postage. Mail Art Envelopes along with unique sizes, shapes (squares) or greater thicknesses require extra postage. The post office has something they can show you so you will know. I mostly use Thin 3D Foam Squares for exactly this reason. These are the things that pop into my head automatically but if you think of anything else, you can go to the USPS.gov website and check it out. Thank you so much for stopping by today to see my project. I hope you'll come back very soon! Hello! It's time for the Monthly Blog Hop at Papertrey Ink for March 2017. 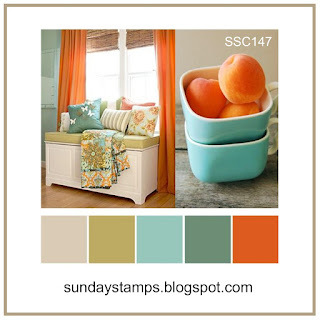 Nichole always finds really remarkable inspiration for us and this month is no exception. These gorgeous prints were created by Victoria Johnson. I love how Victoria used backgrounds other than white for her prints. I wanted to capture the same feel of the colors in the card I created so I started by making a Noted: Vertical Scalloped A2 Card base from Tropical Teal Cardstock. I also cut a rectangle and scalloped edge smaller piece using the same Noted: Vertical Die Set out of Deep Indigo and Stamper's Select White Cardstock. Using Fresh Bouquet Stamps and the coordinating die, I cut several of these in Deep Indigo and Stamper's select white as well. I wanted to try something new but I wasn't sure how it would work out so I didn't want to have to stop and cut more if things weren't working out too well. I had a ton of what I would call failures. The biggest thing I tried was to do each of the flowers in a different embossing powder and still another color for the leaves. This did not work out for me at all and I'm not sure how I could make it work. The biggest thing I noticed was that it was hard not to get the heat on some of the already melted embossing powder and scorching it. I recently got a Wagner 650 degree heat tool but a lot of the time, I think it is just too hot. I'm still adjusting to how much hotter it gets than my old one. 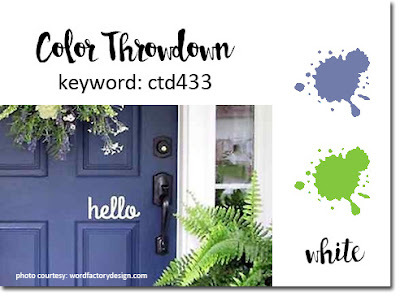 In the end, I got out my supply of Twinkling H2O's and used Forest Green, Black Cherry, Sky Blue and Bougainvillia to paint them in over the heat embossed gold outlines on the Deep Indigo Cardstock. It was fast, easy and makes the same kind of impact I was going for with the heat embossing. I'm sure there will be lots of fantastic cards and projects over at the Papertrey Blog so enjoy hopping along to see all the projects! Hello Everyone! Today I am part of a Surprise Blog Hop celebrating the arrival of Baby Girl Croghan, to Lesley and Corey Croghan, due in April. I know Lesley through "The Challenge" blog that she created. She asked me to be one of their designers. Lesley also has several other challenges around the web that I participate in. 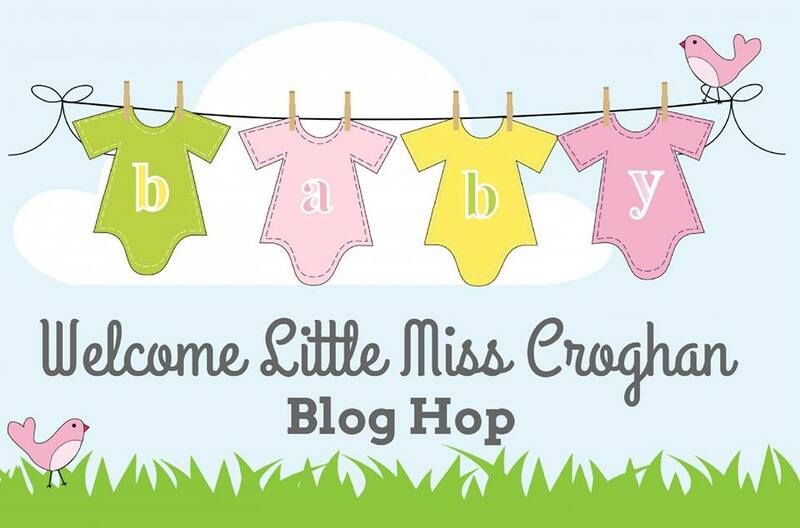 So although I haven't known her for very long, I was thrilled to be asked to participate in this special blog hop! It was a little bit of a challenge for me to find something to use for a baby card but I finally settled on using the My Favorite Things Snuggle Bunnies Stamp and Die sets along with a couple of sentiments from two different Papertrey Ink sets. I started by stamping the bunny and the teddy in Versamark onto Canson Bristol Watercolor Paper and heat set it with Simon Says Stamp Antique Gold Embossing Powder. I used Zig Clean Color Real Brush Markers and a water brush to watercolor the images using just a few colors; Oatmeal, Pale Rose and Sugared Almond Pink. Once I had those colored in, I set them aside to dry while I worked on the background panel. I started by doing some ink blending toward the center of the background panel using Picked Raspberry Distress Ink and misted it with some Tattered Angel Glimmer Mist in Iridescent Gold. After giving it a couple of minutes to dry, I scored the lines in the background using the same method I explained here. I used Liquid Pearls in the color Hydrangea to put the little pearls at the intersection of the score lines. I set everything aside for a little while to make sure it was completely dry before attempting to emboss part of the greeting. I cut a banner using the Tag Sale Quilted Banner Die and stamped the "To Hear Your News" part of the sentiment using the same Antique Gold Embossing Powder. Once everything was dry, I die cut the bunny and teddy then I assembled it all to a top folding card base made from Simon Says Stamp Doll Pink Cardstock. I actually tried several colors of cardstock (including white) because I found the Picked Raspberry Distress Ink to be a bit darker and brighter than most of the pink cardstock I have including several colors of Stampin' Up Cardstock still in my stash. This paper is part of the Simon Says Stamp Sweet Treats Paper Pack. Be sure to hop along with everyone at Lori's blog, Caffeinated Creativity, to see all of the cards made for Lesley for today's blog hop. Our hosts, Lori Turner and Nancy Salkeld, have been working on this plan for weeks to get everything set up for the hop. Lesley was sent a package that said she couldn't open it until 8:00 her time this morning. She will get a nice surprise when she opens her package this morning and sees all of the cards and things made just for her. I don't know Lesley very well and I was late getting my card to Lori, but my hubby dropped it off at the Post Office this week so she'll receive it soon. 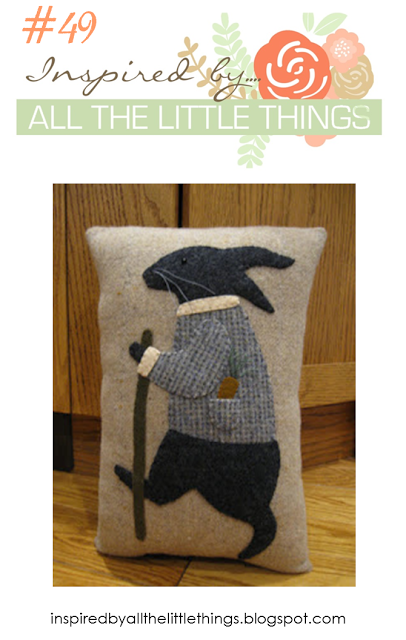 Meanwhile, she gets to look at all the goodness that is part of this blog hop! Lesley, I hope you are having a fun time hopping along and seeing everything this morning! CONGRATULATIONS!!!! 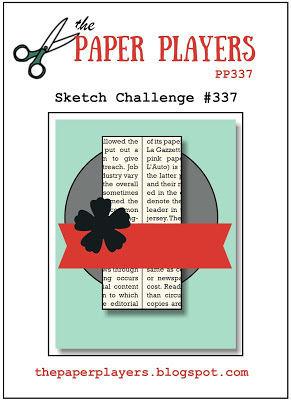 When I saw what today's challenge is over at the Papertrey Ink Blog, I was thinking that clearly Nichole wasn't speaking to me when she came up with the challenge because I tear up and put into the trash cards I make that I don't like; or at least, card fronts. I don't actually get it all the way to the whole card stage, but to keep myself from trying to salvage something I am not very happy with, I do rip it in half otherwise I will drive myself crazy trying to fix it. That doesn't happen very often but it does happen. I know it wouldn't bother some people, but I am putting my name, my reputation and my style out there in the world and I don't want to post something I am not proud of. With all of that said, while I liked this first card, I wasn't 100% happy with my color choices from a few days ago during the Papertrey Ink Multiples Challenge. It was okay, but I felt I would have liked it better if I had used different colors. So that is the card I chose to transform today. For the previous card, I started with a card base made from Smokey Shadow Cardstock. I used Hawaiian Shores Cardstock for the Cover Plate: Harlequin Die cut with a second pass on Vintage Jadeite Cardstock for the interior pieces. The sentiment is stamped on a strip of Smokey Shadow Cardstock and heat embossed the sentiment from Botanical Blocks in Hero Arts White Embossing Powder. This card looks fine and I can think of a few people who would really like it. It looks just fine, but I felt like it was really hard to tell what the background color is and I still think that's true. For today I started with a card base made from Stamper's Select White and paired it with Dark Indigo, and Hawaiian Shores Cardstock. 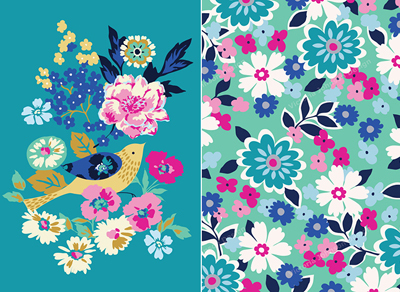 I also did the pattern a bit differently than on the previous card. There are so many options to choose from so I just sat down with the interior pieces and then inlaid them in different patterns until I had a design that I liked. I adhered them with a bit of Ranger Multi Medium Matte. For the previous card I popped the diamonds up on Thin 3D Foam Squares but I chose to keep this one mostly flat and pop up only the sentiment, again on Thin 3D Foam Squares. I used Double Ended Banners Dies to cut from the Dark Indigo Cardstock and heat embossed the Happy Birthday which is also part of the Botanical Blocks Stamp Set. Yesterday's Challenge was to build a birdhouse using a template that Nichole designed a few years back so I am off to check out my construction skills. Based on the fact that I used to make my own clothes, I'm somewhat optimistic. 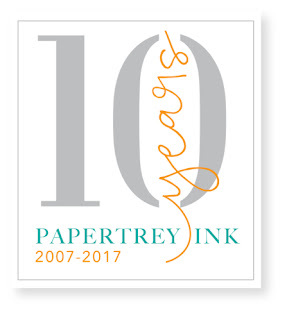 Be sure to stop over at the Papertrey Ink 10th Anniversary posts on Nichole Heady's blog. Tomorrow is release day and everything will be available to purchase at 10:00 p.m. ET. Hello everyone! 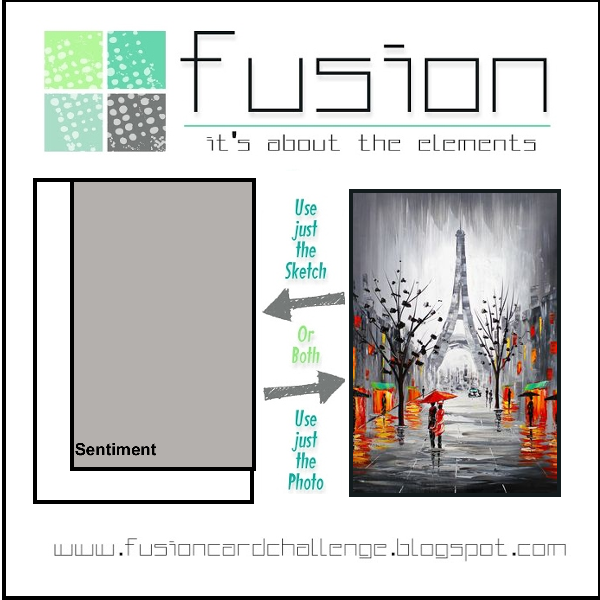 Today I got to sit down with a new tool and play for the Simon Says Stamp Monday Challenge and the Simon Says Stamp Flickr Challenge #66. 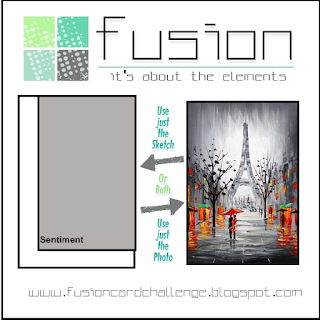 For this challenge, we are supposed to "color" something. I hope ink blending counts as a type of coloring. I actually made 4 cards today; two with dye inks and two with the new Tim Holtz Distress Oxide Inks. It wasn't that I was planning to compare them, but when they came in today's mail, I could not resist stamping a couple more backgrounds to play with. The original 2 cards were white heat embossing on Canson Bristol Watercolor Paper which is what I use 95% of the time for my card fronts. They take ink much better than cardstock when you want to do ink blending and I use a lot of shimmer mists in my cards so this paper works better and helps to achieve that seamless transition of color. Once I learned to ink blend, it's a technique that I use often. I almost had those cards finished when the mail arrived and I set them aside. I stamped two panels using the Simon Says Stamp Emma Background in the original MISTI on the watercolor panels using Versamark and heat embossed them with Simon Says Stamp Antique Gold Embossing Powder. I simply can't help it - I love how rich and elegant the gold embossing looks. I do use other colors from time to time, but I use embossing on almost every card I make and I'm never as satisfied with any other embossing powders as I am with gold. The Simon Says Stamp Antique Gold is my favorite because it's a bit warmer and reminds me of WOW! 's Gold Rich Pale. I used a very pretty sapphire blue the other day and I did like how that looked, but it would have looked equally as good in gold. For me the struggle is how to make cards without gold and that struggle is real my friends. *Ü* I don't use shimmer mist on masculine cards, but it's hard to restrain myself when I think of how much more awesome it would be with shimmer. I grabbed a couple of new foam pads for my Mini Round Ink Blending Tools and opened the Broken China and Cracked Pistachio Distress Oxide Inks and started blending the Broken China in the center of the panel. Since I watched Jennifer McGuire's Video from last week, I knew that I could start in the middle and be able to blend it out. If you've tried this, you know it can be quite tricky with Dye Inks. I blended the Broken China Distress Oxide all in the center of the panel and then went around the the rest of the panel with the Cracked Pistachio. One of the first things I noticed was that while initially I thought I wasn't getting very good coverage, it only took seconds for it to saturate the paper. Then once you hit it with the shimmer mist (or water), it oxidizes and becomes so creamy and smooth. It is very beautiful. For both of these cards I used Tattered Angels Glimmer Mist in Iridescent Gold. It's my favorite, but it takes some work to find it. 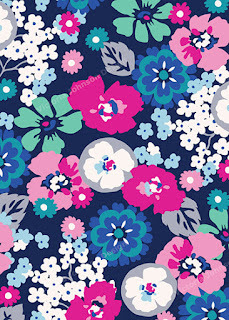 Happily, I saw it at CHA in the 7 Gypsies Booth and I got a business card so that I can order direct from their site. Canvas Corp Brands owns Tattered Angel so you can go directly to their website to order. They have about 50 colors, but I primarily use just Iridescent Gold. I have some copper, pearl, silver and a couple of others but I had been on my very last bottle of Iridescent Gold when I left for CHA in January, so I was super happy to see it and no that I could still get it. I grabbed my other embossed panel with Peeled Paint and Worn Lipstick Distress Oxide Inks and did ink blending in the same way, first with Worn Lipstick in the center and Peeled Paint around that. These were so easy and took so much less time (literally minutes) to get a beautiful, vibrant ink blended background. I'm telling you - I am in love! Because of the busy the background is, I wanted to keep the rest of the card simple. I cut the Concord & 9th Floral and Flutter Dies from gold cardstock and heat embossed the sentiment from Papertrey Ink's Botanical Blocks Stamp Set onto the same watercolor paper. 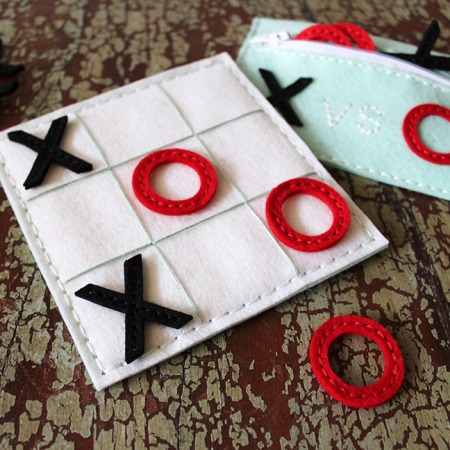 Then I die cut both of the backgrounds panels using a Simon Says Stamp Stitched Rectangle Die in the largest size. One is mounted onto a card base made from Papertrey Ink Ripe Avocado Cardstock and the other card base was made from Papertrey Ink Vintage Jadeite Cardstock. Papertrey Ink's Perfect Match Cardstock is super smooth and heavyweight at #110. 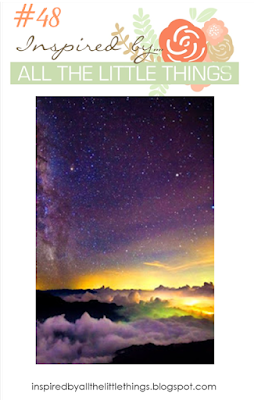 It is also the most reasonably priced cardstock out there costing just $5.00 for 25 sheets of colored cardstock. Thank you so much for stopping by today. 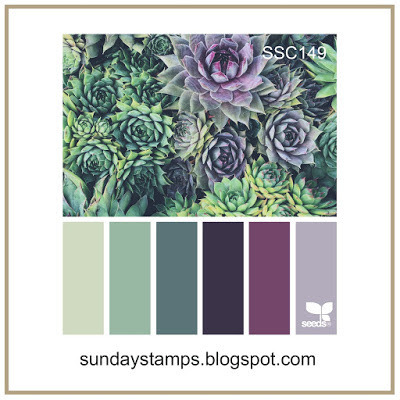 Be sure to stop over at the Simon Says Stamp Monday Challenge and the Simon Says Stamp Flickr Challenge to see all the great projects and the Simon Says Stamp Store to order supplies! Happy Friday, everyone! It has been a few weeks since I've had time to play over at the Simon Says Stamp Challenges but I jumped right on the Wednesday Challenge this morning. I did one of my favorite things which is to mix and match my supplies; inks, stamp sets, dies, paper, etc. I love to create without restrictions on which product I can use. Thankfully, Simon's sells most brands. 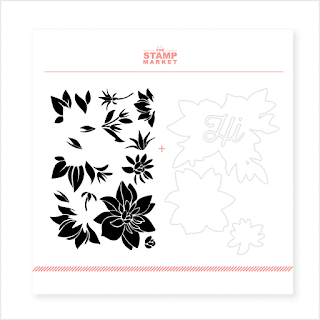 I know they are featuring Penny Black products this week and I have a few of those to do yet before the week is up but for today, I just want to use this set from a new company called "The Stamp Market". Last month was their first release and I just love this stamp and die bundle. I started by stamping the greenery with Simon Says Stamp Beanstalk Green Ink. 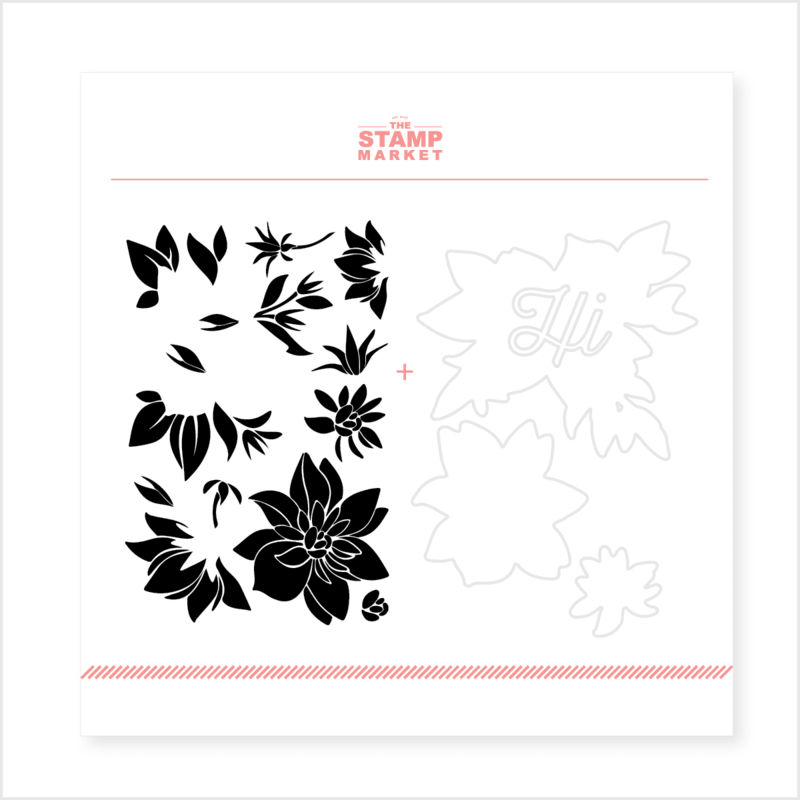 There are small stamps to stamp the buds in a separate layer. Then you can cut that layer with the die. I cut three in total so I could stack them up for a chipboard effect. Shading was added using a YG63 marker. For the buds and bloom I chose Altenew's Ocean Waves Crisp Ink and added some shading with a BG01 Copic Marker. I mounted one bloom directly to the top of the greenery then added another on top of that with Thin 3D Foam Squares for a bit more dimension. This has been so well thought out and I hope to see similar sets in the future. I detest masking at least as much as fussy cutting, so this kind of set is awesome for me. I also stamped the smallest flower and stem on the left hand side of the envelope to match. I have a specific person in mind to send this card to, so while I already had my supplies out (as Jennifer McGuire, Yana Smakula, Nichole Heady or a gazillion others would say) I went ahead and did a little stamping on the envelope. This card is for a friend who definitely needs a boost of moral support right now so I loved adding the greeting from the Concord & 9th "Hello Lovely" Stamp Set and a few sequins to add just a touch of bling! As a side note, I finally ordered a few of the Distress Oxide Inks after seeing Tim Holtz's CHA Demo and they will be here by the end of the week. It's a little bit difficult to find them in stock anywhere right now. I got 9 of the 12 that were released and found them at Scrapbook.com. If you haven't seen them in action, be sure to search "Distress Oxide" at Jennifer McGuire's website. There's a link on the right hand side bar of my blog. It's Wednesday, so for many of you the work week is half over. Have a great afternoon everyone. I hope you'll come back soon. 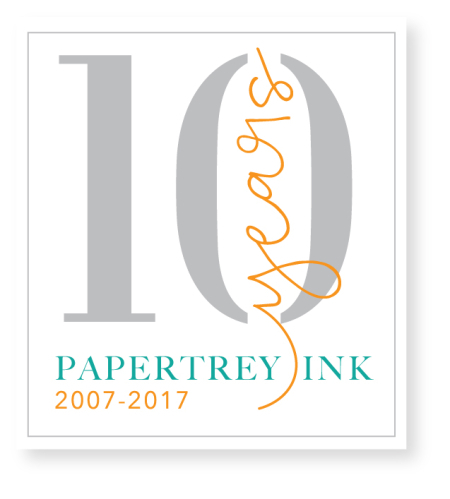 Welcome to Day 3 of 10th Anniversary Celebrations for Papertrey Ink. Lexi Daily was today's guest blogger. Our challenge for this 3rd day of festivities is to create a new card and while we have our supplies out, to make an altered envelope to go with it AND get it in the mail. I've been meaning to start adding something to the envelope the way Jennifer McGuire does so this is a great challenge for me. I wish I had some nice fancy handwriting for my envelope but my handwriting isn't too terrible so I'll keep it how it is. It's actually gotten a bit better in the last year since I send out cards all the time and get more practice. It was getting pretty atrocious there for a while so the practice has been good. Everyone, without exception, loves a handwritten note inside of a card. If you visit my blog very often, then you know I am on a kick right now of making these gorgeous backgrounds for my cards. I'm creating them by doing some ink blending on my background panel, then adding the score lines with some shimmer mist and then accenting the intersecting points with Liquid Pearls. This particular card was ink blended with Aqua Mist then shimmer misted with Tattered Angels Iridescent Gold Glimmer Mist. I added the drops of pearls once it was die cut and set it aside to dry while I stamped the tulips from Papertrey Ink's Tulip Time. I start by cutting several of the Tulip Time Dies Cuts from Stamper's Select White Cardstock. Then I use the negative of the die cut in my MISTI so that I can pretty much get perfect alignment. I've stamped enough of the tulips by this point in time to have a good visual for how the stamps should line up. I think I sent about a dozen cards out last weekend featuring this stamp set so I've had a great deal of practice lately. For this card, I stamped the leaves using Vintage Jadeite and New Leaf inks. For the blooms, I started with Brilliance Pearlescent Jade Pigment Ink for the base layer of the bloom, then Hawaiian Shores for the second layer and Tropical Teal for the final layer. Using the MISTI means that I can double (or even triple) stamp a color for a deeper tone of that color. I always like the look of double stamping for the 2nd layer. The final layer is such a deep color usually that it only needs the single stamp. I also wanted to stamp one of the tulips on my envelope so I selected the middle sized single bloom for that and used all the same ink colors. For the address, I used Limitless Layers - 2½ inch Ovals to cut the "label" from Hawaiian Shores Cardstock and the interior oval is cut from Stamper's Select White. It will take considerable effort on my part to get an address in that space (lol); the older I get the bigger my handwriting gets. The greeting on the card is part of the Tulip Time Set and I heat embossed it with Antique Gold Embossing Powder. The butterfly is from Impression Obsession and was cut from gold foiled cardstock. I prefer the foiled cardstock over the mirrored cardstock because it is so much easier to photograph and is more subtle. 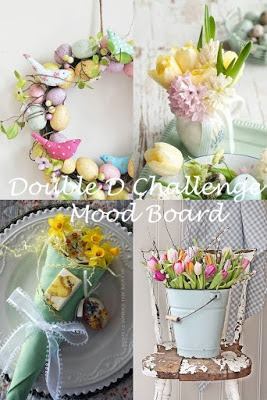 Thanks so much for stopping by today to check out my project for the challenge. I hope you'll come again. I'll be back soon with another project for you. Happy Tuesday everyone!